Solid surface countertops are man-made and mimic the look of granite and stone. Available in a wide array of colors and patterns, solid surface countertops are a popular option because of their versatility, durability, and ease of repair. One of the most appealing qualities of solid-surface is the fact that the material can be cut, carved, cast and formed seamlessly into a variety of shapes. This means homeowners can integrate design features like a sink or backsplash while at the same time eliminating even the smallest gap. 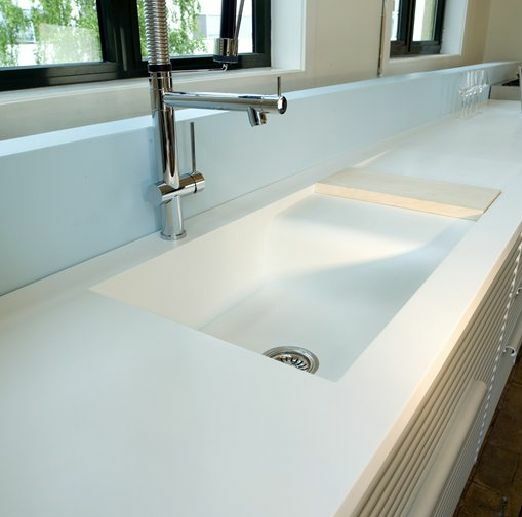 Solid-surface countertops also eliminate much of the hassle of upkeep, requiring little to no maintenance. For additional color options, visit Corian® Design now for all in-stock Corian® Solid Surface colors.